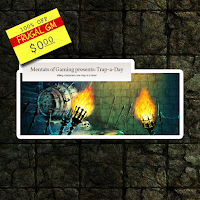 This week's Free GM Resource is one I've had tucked away for quite some time.....one of the authors at Mentats of Gaming presents: Trap-a-Day reached out to me when the site was first started. I think when I 1st checked in there were less than a week's worth of traps and personally I wanted to see that Mentats of Gaming were able to keep it up before sharing it. They have, so I am. The site lists a couple thousand traps, which I'm sure is way off since each trap has multiple tags. 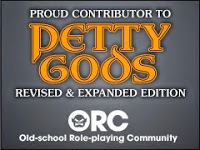 Still, if you are looking for a specific Challenge Rating trap for the newer incarnations of D&D, or just a trap idea you can lovingly "steal".....this is a good place to start.